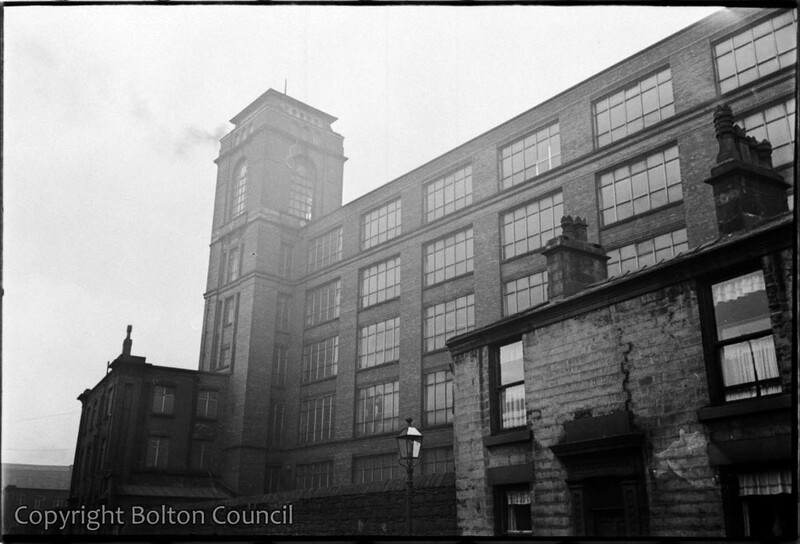 Egyptian Mill, Slater St, Bolton. This scene is remarkably unchanged today (2012). The terraced houses still stand in front of the mill, which is now used as an industrial premises.